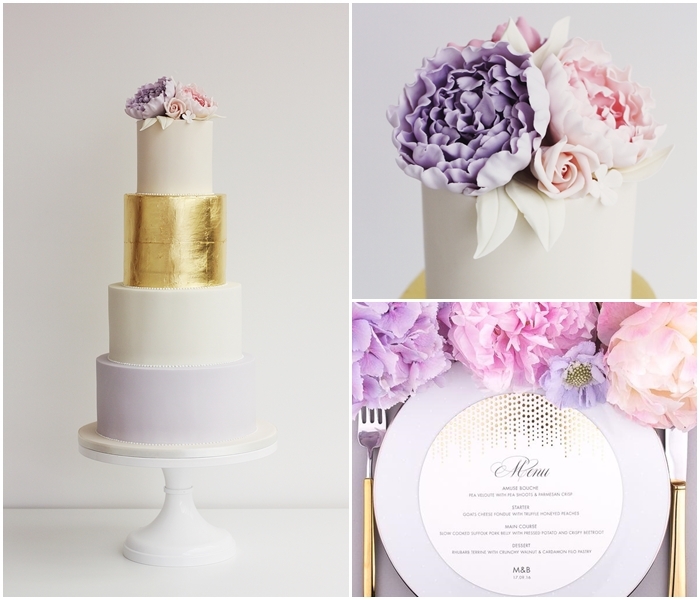 L&S got in touch with an amazing mood board and inspiration pictures for their special day. The colours were blush, pinks, lilacs, pale green and gold. They loved a previous design and wanted to put their own stamp on it. 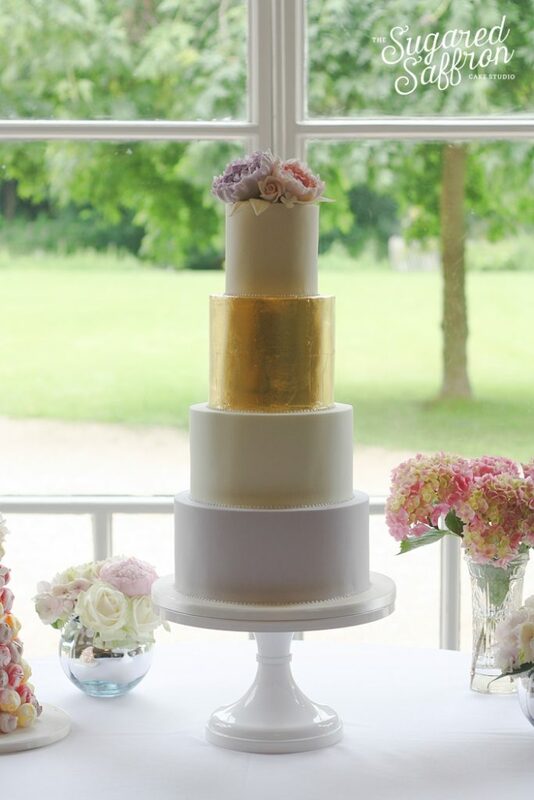 Using an extended cake tier with gold leaf was the statement of the cake, with oversized frilly sugar peonies and leaves atop. The wedding took place at the newly restored Morden Hall, an amazing venue set in the grounds of a National Trust park in South London. The beautiful flowers you can see were supplied by Flowers By Eve. 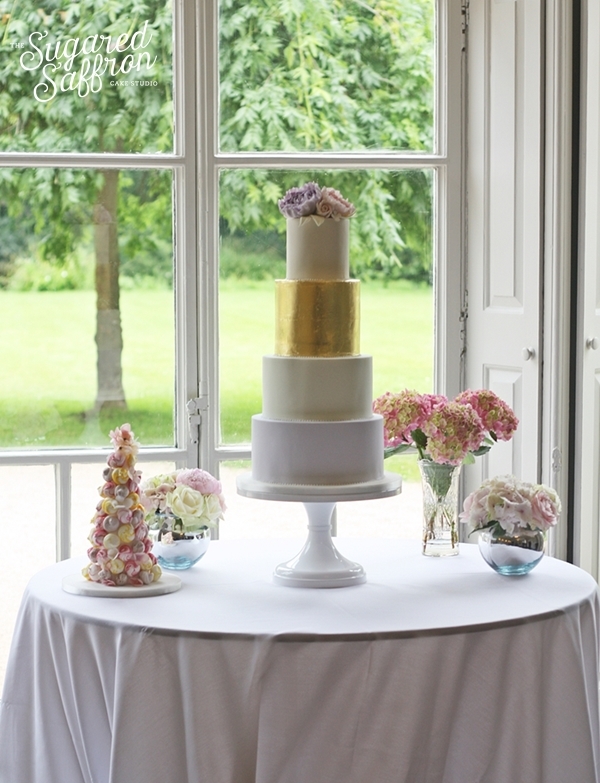 And that little tower on the left, it’s a cute meringue tower for the grooms FIL who had several different dietary requirements that made cake a no-no. Beautiful. 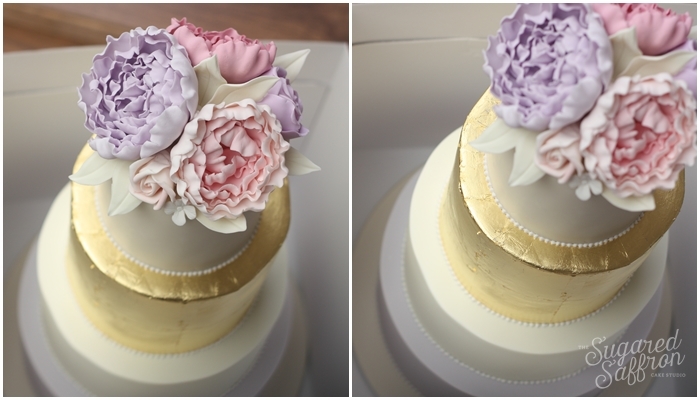 Love the gold leaf tier alongside the lilac and pink palette.